President Muhammadu Buhari on Saturday arrived in Beijing, China for the 7th Summit of the Forum on China —Africa Cooperation. 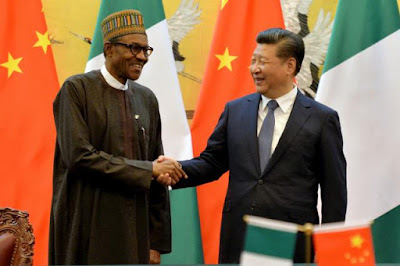 China’s Exim bank will lend Nigeria $328 million towards improving the west African country’s telecoms infrastructure, Nigeria’s presidency said on Saturday, at the start of a six-day visit by President Muhammadu Buhari to the country. Poor telecoms are a major challenge for businesses operating in Nigeria, which is Africa's largest oil producer, most populous country and has one of the continent's largest economies.